Suniti started her yogic journey in 2001 as a means to recover from a car accident. In her mid-thirties, she also had trouble with her knees and could hardly bend forward to pick up her dog's ball. After only 4-6 months of doing yoga once a week, she was pleased to discover that many of her physical symptoms had greatly subsided or disappeared. During this process of healing her body with yoga, she also found greater emotional balance, as well as peace of mind. All of these benefits inspired her to become a yoga instructor. Suniti started with Kundalini Yoga, then Kriya Yoga, and finally found her way to Yogi Amrit Desai and the Amrit Yoga Institute in Florida in 2008. She is certified at the 500-hour level as a Level 1 and 2 Amrit Yoga Instructor, as a Professional Yoga Nidra Facilitator, and recently trained in I AM Yoga Therapy - Body Psychology. She claims that yoga saved her life, and is what's kept her sane all of these years. For her, yoga is the ultimate spiritual pathway to one's true "Self". As an instructor, Suniti uses the timeless teachings of yoga as a platform for healing, achieving personal growth, and attaining a higher spiritual wisdom. She gravitates towards the Hatha style of yoga, but likes to throw in some Flow, Yin, and Kundalini yoga when the inspiration comes. Her classes are generally unique and versatile, relaxing and balancing, insightful and sometimes thought provoking, yet infused with humour. She believes without a doubt that yoga changes lives, and is the secret to living a balanced, happy, and healthy life. She looks forward to sharing the gift of yoga with those who join her classes. hatha yoga teachings of the Sivananda lineage. This classical style of yoga first taught in Canada by Swami Vishnu-devananda focuses on proper breathing, proper relaxation and proper exercise (the 12 basic asanas). Sivananda style of teaching and also include some of her favourite postures from other lineages. Students are encouraged to focus on the breath, relax and let go during her classes. Paul was introduced to yoga as a means to deepen his connection with his mediation practice and study of Buddhist philosophy. Paul vividly remembers his first encounter with yoga as a transformative process that he describes as a magical and calming experience that “opened up” a space in his body and mind. Paul describes this as the purging of excess physical and emotional tension that we all experience in today’s frenetic world. Embracing the beauty of learning how to breathe again and reconnecting with the vital life force of the breath, Paul truly believes yoga has the power to transform our lives, relieve stress, and help us connect with our true nature. Gail discovered Yoga as a university student and hasn't looked back since. Practicing for well over 30 years, through the roller coaster of life, Gail pursued her passion and completed the Yoga Teacher Training at Citizen Yoga in Newmarket in 2017. She is ever so grateful for her amazing teachers, Jen Wilson and Teri Macias. "Yoga is the one constant I always come back to. Through injury, illness and great times too, Yoga is always there for me. The simplicity and beauty of the practice is what I long to share with others. It is accessible to all. The only part of your body that has to be flexible to practice Yoga is your mind. Yoga fosters an open heart and teaches us so much about gratitude and acceptance and ourselves". 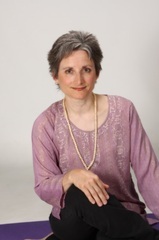 Gail's classes are gentle, mindful and thoughtful, with a Hatha based focus. Slow Flow, Restorative and Yoga Nidra are Gail's favourite types of classes to teach. Essential oils and props are often used to enhance the experience. “Yoga continues to inspire me, and I am drawn to the balance and centering that yoga provides for my busy corporate lifestyle so much so that I want to teach these same benefits to my students in my class”. Linda is a Certified Yoga Therapist and Certified Taiji Qigong Instructor. She is passionate about helping students find their own sense of empowerment through the practices of Yoga, Qigong, Meditation and Breathwork. She guides you to work within a framework that encourages self-awareness, self-compassion and personal growth. Linda looks forward to meeting you and learning about your unique goals and aspirations.